What Should You Know abut Migraine Headaches? What Are the Warning Symptoms and Signs of a Migraine? When Should You Call a Doctor for Migraines? What Do Migraines and Auras Look Like (Pictures)? What Causes and Triggers Migraines? How Can You Tell If It's a Migraine vs. Headache? What Home Remedies Relieve Migraine Pain? What OTC (Over-the-Counter) Drugs Treat Migraine Pain? Migraine headaches are one of the most common problems seen in emergency departments and doctors' offices. They are due to changes in the brain and surrounding blood vessels. What Are the Warning Signs and Symptoms of Migraines? Migraine pain usually unilateral, meaning that it occurs on only one side of the head. Migraine causes are not fully known, but are believed to be due to the expansion of blood vessels in the brain along with the release of certain chemicals. What Are the Types of Migraine Headaches? There are several types of migraine headaches, and they vary in severity of pain and the time it takes for the migraine to go away. Common migraine, also called absence migraine, accounts for 80% of migraines. There is no "aura" before a common migraine. People with classic migraine headache (also called migraine with aura) experience an aura before their headaches. 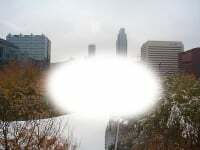 Most often, an aura is a visual disturbance (outlines of lights or jagged light images). Classic migraines are usually much more severe than common migraines. Common migraine accounts for 80% of migraines. Silent or acephalgic migraine headache is a migraine without head pain, but with aura and other visual disturbances, nausea, and other aspects of migraine. A hemiplegic migraine can feel like a stroke, with weakness on one side of the body, loss of sensation, or feeling ‘pins and needles; however head pain may not be severe. A retinal migraine occurs when a migraine headache causes temporary vision loss in one eye. The vision loss can last from minutes to months, but it is usually reversible. It is often a sign of a more serious medical problem, and patients should seek medical care. A chronic migraine is a migraine headache for more than 15 days per month. Migraine headaches typically last from 4 to 72 hours and vary in frequency from daily to less than one a year. How Many People Have Migraines? According to the National Headache Foundation, more than 37 million Americans suffer from migraine headaches, and it affects three times as many women as men. About 70% to 80% of people with migraines (called migraineurs) have other members in the family who have them too. What Is the Best Thing to Do for a Migraine? Home remedies to relieve head pain and other migraine symptoms include lying down and resting in a room with pillows supporting the head and neck, and that has little no sensory stimulation from light, sound, colors, and odors. Over-the-counter (OTC) drugs like nonsteroidal anti-inflammatory drugs or a combination of medicaitons., and prescription drugs can treat migraines. Prodrome: A variety of warnings can come before a migraine. These may consist of a change in mood (for example, feeling "high," irritable, or depressed) or a subtle change of sensation (for example, a funny taste or smell). Fatigue and muscle tension are also common. Aura: Commonly, these visual or other sensory disturbances that precede the headache phase. Some patients develop blind spots (called scotomas); see geometric patterns or flashing, colorful lights; or lose vision on one side (hemianopia).While visual auras are most common, motor and even verbal auras have also been described. Headache: The pain of a migraine usually appears on one side of the head, but some occur on both sides and/or the head. The head may throb with pain. Most people with migraine headaches feel nauseated, and some vomit. Most become sensitive to light (photophobia) and sound (phonophobia). This phase may last 4 to 72 hours. Headache termination: Usually, if the head pain from a migraine is not treated it will go away with sleep. Postdrome: Other signs, for example, inability to eat, problems with concentration, or fatigue, may linger after the head pain has disappeared. 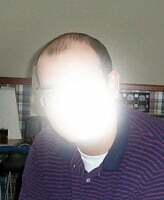 Example of a visual migraine aura as described by a person who experiences migraines. This patient reported that these visual auras preceded her headache by 20 to 30 minutes. Example of a central scotoma as described by a person who experiences migraines. Note the visual loss in the center of vision. Another example of a central scotoma as described by a person who experiences migraine headaches. Example of visual changes during migraine. Multiple spotty scotomata as described by a person who experiences migraines. Frank visual field loss can occur with migraine. This example shows loss of the entire right visual field as described by a person who experiences migraines. 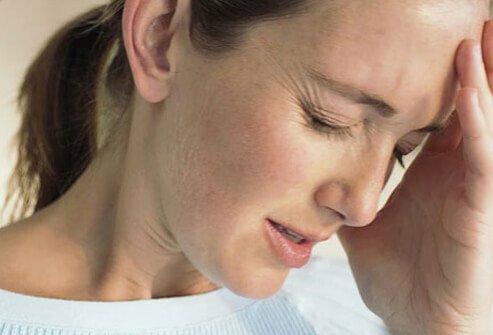 The exact cause of migraine headaches is not clearly understood, though experts believe they may be caused by a combination of the expansion of blood vessels and the release of certain chemicals, which causes inflammation and pain. The diagnosis of migraine headache rests solely on what a patient describes to a doctor or other medical professional. A doctor's physical examination of the patient typically reveals nothing out of the ordinary; however, a neurological examination will be performed to rule out other causes of headache. Additional tests may be ordered because other types of headaches such as tension or cluster headache, stroke, tumor, inflammation of a blood vessel, and infection of the brain's coverings (meningitis) or of the sinuses. Nonsteroidal anti-inflammatory drugs (NSAIDS): These include medicines like aspirin, ibuprofen (Motrin, Advil), and naproxen. Stomach ulcers and bleeding are serious potential side effects. This type of medicine should not be taken by anyone with a history of stomach bleeding. Ask your doctor or pharmacist about possible medicine interactions if you are taking other drugs. Acetaminophen (Tylenol): Acetaminophen may be safely taken with NSAIDs for an additive effect. Taking acetaminophen by itself is usually safe, even with a history of stomach ulcers or bleeding. Acetaminophen should not be taken if you have liver disorders or has three or more alcoholic drinks a day. Combination medications: Some over-the-counter pain relievers have been approved for migraine treatment. These include Excedrin Migraine, which contains acetaminophen and aspirin combined with caffeine. A similar effect can be achieved by taking two aspirin or acetaminophen tablets with a cup of black coffee. Despite medical advances, migraines can be difficult to treat. About half of people with migraines stop seeking medical treatments for their headaches because they are dissatisfied with therapy. This type of chronic headache can be treated with two approaches: abortive and preventive. The goal of abortive therapy is to prevent an attack or to stop it once it starts. The prescribed medications stop a headache during its prodrome stage or once it has begun and may be taken as needed. Some can be administered as a self-injection into the thigh, wafers that melt on the tongue, or a nasal spray. These forms of medicines are especially useful for patients who vomit while experiencing the headache, and they work quickly. Abortive treatment migraine include the triptans, which specifically target the chemical serotonin. The triptans are used only to treat headache pain and do not relieve pain from back problems, arthritis, menstruation, or other conditions. These drugs also are specific and affect serotonin, but they affect other brain chemicals as well. Occasionally, one of these drugs works when a triptan does not. These drugs are mainly used for nausea, but they sometimes have an abortive or preventive effect on headaches. These drugs are weak members of the narcotic class. They are not specific for migraine, but they can help relieve almost any kind of pain. Since they are habit forming, they are less desirable choices than the headache drugs. These drugs should be used primarily as a "backup" for the occasions when a specific drug does not work. Calcitonin gene-related peptide receptor (CGRP-R) antagonist is a new class of drug called a calcitonin gene-related peptide receptor (CGRP-R) antagonist was approved in 2018 to prevent migraine headaches. Erenumab (Aimovig) is given as once-monthly injections. Botulinum toxin (BOTOX ®) injection has been found to help some migraine sufferers, and has been approved by the U.S. FDA to treat chronic migraine in adults. Injections are given at specific points in the head and neck muscles, and the effect lasts up to 3 months. Regular follow-up care with a doctor or other health care professional is necessary. Keep a pain journal to monitor the frequency of attacks and the medications you use can be very helpful. It may take several doctor visits before an effective treatment plan is found. After the headaches are under control, the prognosis is very good. Patience is key. As noted previously, it may take several attempts before an effective treatment plan is found. No one treatment or drug is effective for every person. A drug that works well for one person may not provide any relief for another. A combination of different migraine medicine sometimes is needed to treat resistant headaches. Migraine triggers should be identified and avoided. Making individual lifestyle changes is very important. Changes may include avoiding certain types of foods and certain emotional situations. If missing meals triggers headaches, the person should make every effort to eat on a regular basis. In some instances, the use of biofeedback may help reduce the severity and frequency of attacks. Migraine Headaches in Children: Are The Symptoms Different Than In Adults?